Crown Meat & Provisions Inc. is proud to provide an excellent assortment of specialty items including oils, butters, cheese, and fries. Our goal is to provide you everything you need to truly make a great impression upon customers. From restaurant kitchens to caterers to hotel venues, our clients have come to depend on great quality specialty items from Crown Meat. Ready to place your order? Fill out your order form here. Any chef will know that quality oils make an honest difference in their menus. 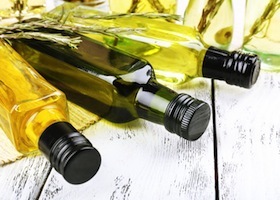 Specialty oils can be a flavorful complement to the meats your customers know and love. Learn more about our oils and how they can propel your menu to an excellent reputation. Butter can be used as a spread or a condiment to complement many food items, but mostly, it’s used to create the most sought-after dishes that come from your kitchen. 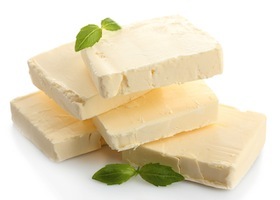 Get the highest quality butter for your chefs with easy delivery from Crown Meat. 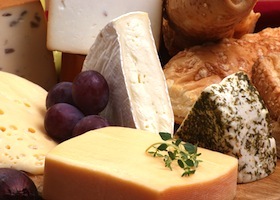 Cheese is a necessity to many of your patrons’ favorite dishes. The flavor of cheese can change a meal drastically. We’re here to provide you with your favorite cheeses all year long to allow you to provide consistent excellence to your customers. Some restaurants are so well known for their fries that customers come back just for this side order. You should be among them! 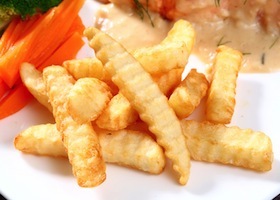 A great fry starts with a firm, quality potato base. We’re here to provide you with the delicious start to the perfect fry.